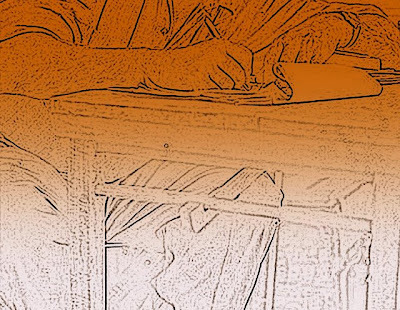 The Kalaparva: Commentary: Sarangi - Gaining its Sheen? Sarangi - Gaining its Sheen? The first impressions of listeners on hearing the sound of Sarangi is that of a national mourning. Though less popular than the sitar and tabla, this principal bowed instrument which was mainly used as an accompaniment by Hindustani music vocalists had also gained ascendancy as a solo instrument. Etymologically, the term sarangi came from the words Sau(hundred) and rang(colours). The reference to hundred colours denotes the richness of the sound of the instrument. It has three main playing strings and a number of sympathetic strings. It has no frets or fingerboards; the strings float in air. Unlike the violin where the pitch is determined by pressing the string against the fingerboard, in sarangi the fingernail is slid against the string to produce the pitch. It is traditionally associated with Kathak dance and the vocal styles of thumri, dadra and khayal. Sarangi music is almost vocal music. Besides, the flow of music in sarangi is so good that a good player can enter into a dialogue with the vocalist in a concert. A sarangi player knows the words of many classical compositions. The words are mentally present during performance, and conforms to the conventions of vocal performance including the organisational structure, elaboration, the tempo, and the presentation of khayal and thumri compositions. The instrument was on the verge of extinction; as Harmonium and violin usurped its place. It is common knowledge that despite the richness of the instrument, many vocalists prefer the harmonium to sarangi for accompaniment. The reasons are not far to seek. The harmonium is a ready to use instrument and commercial considerations in concerts weigh heavily in favour of the harmonium though it cannot produce the subtlety that the sarangi can produce. 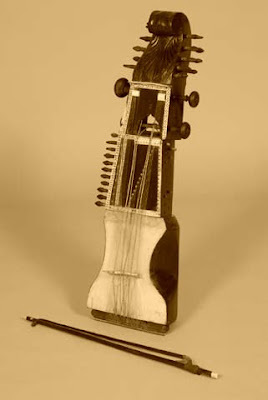 In the yesteryears, the Sarangi was primarily used as an accompanying instrument. . Eminent maestros of the past included Bundu Khan, Nathu Khan, Sagiruddin Khan, Gopal Mishra and Shakoor Khan. It is said that Ustad Bade Ghulam Ali, once became furious with his accompanist, Shakoor Khan, as the latter by his brilliant performance, captured the limelight of the concert. 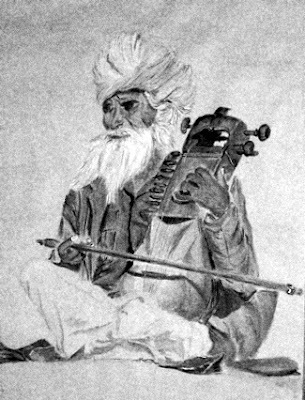 From then on, the great Ustad dispensed with a Sarangi player in his concerts. Vocalists avoided Sarangi players simply because most of them started competing with the main artiste. In recent times it is being recognized as a solo instrument due to the efforts of Pandit Ram Narayan and Ustad Sabri Khan. Other current celebrated performers include, Sultan Khan, Kamal Sabri, Dhruba Ghosh and Aruna Narayan Kalle. According to Kamal Sabri, "A vocalist cannot hope to get much help, if he goes out of tune, as the Sarangi magnifies flaws while the Harmonium can easily cover it". Ironically, the instrument is more popular abroad as it is closest to human voice. It is for the emerging players to spread awareness and ensure its popularity in the country where it originated.